Neogoa Records is proud to present Until The End Of The World, a collection of rare and unreleased songs from 2000 to 2013 written and produced by The Faithealers, a group formed by Kris Kylven (of UX, Juno Reactor, and Syb-Sonic) and Markku Louhio (AKA Mark Nomen of Kiwa, Headphonics, and Highpersonic Whomen). The project was formed in Helsinki, Finland, in 1999, and soon thereafter they signed their first single and compilation track to Tim Schuldt’s legendary Aurinko Records. In the years that followed their sound continued to evolve and in 2002 they joined Atomic Reactor, a short-lived sub-label led by Juno Reactor (with whom Kris collaborated with extensively and toured with as a drummer), but further releases did not materialize. Now, with this anthology, the sound of The Faithealers is at last available to listeners worldwide! The best of the band’s productions have been gathered here to transport you to an eclectic multiverse of ethno-mystical sonic landscapes and futuristic worlds of electronic and hardware wizardry. 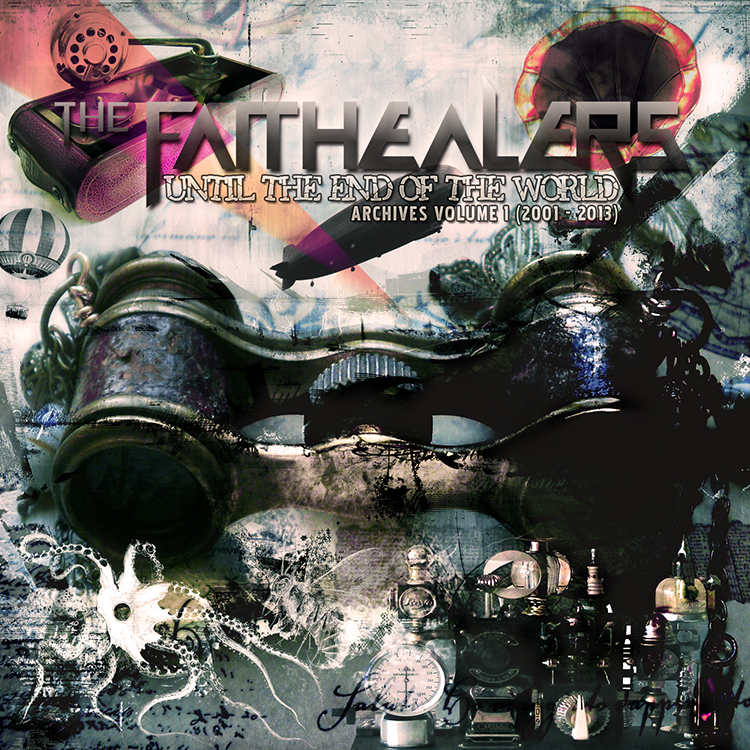 All tracks written and produced by The Faithealers (Kris Kylven and Mark ‘Nomen’ Louhio). Mastering by dB Factory with artwork by Kris Kylven.